If you are interested in working in the ski and snowboard industry – congratulations, you are in the right place! The Hearthstone Lodge is proud to partner with The Winter Sports Company to provide a full mountain experience both on and off the slopes at Sun Peaks Resort. The Winter Sports Company is designed to be the ultimate ski and snowboard instructor training programme. As instructors themselves they listen to client comments and put together a course that will improve your ability on the slopes and vastly enhance your chances of working within the industry. Not only will you come away with an internationally recognised qualification, but you will also have experienced life living and working on Sun Peaks Resort mountain. 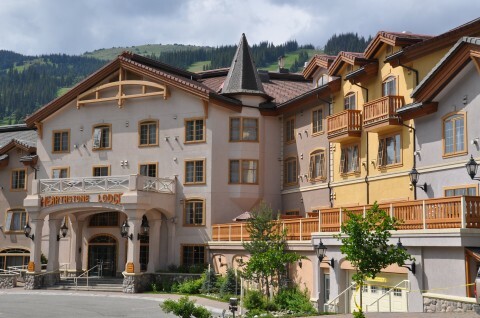 Sun Peaks is a world-class ski-in-ski-out resort and the second largest ski area in British Columbia. Its fantastic ski and snowboard school will provide you with first-rate training and plenty of opportunities to shadow instructors at work. To ensure your success The Winter Sports Company promise to be there with you, both on the slopes and in the resort, for the duration of the course. The Hearthstone Lodge will be your home base and features spacious home-style accommodations with full kitchens, outdoor hot tubs, ski storage and free wireless Internet. The Winter Sports Company – Ski and snowboard instructor training programmes.